Federal authorities in Nevada announced charges against fifteen individuals associated with Las Vegas businesses The Happiness Consultant, the Nevada Compassionate Center, Dr. Reefer, LV Fingerprinting and Organic Releaf on January 6, 2011. Charges include conspiracy to distribute marijuana, distribution of marijuana, conspiracy to commit money laundering, distribution of marijuana near schools or colleges, possession of a firearm in relation to drug trafficking, and failing to disclose or concealing information concerning Social Security benefits. The individuals charged are: John Birmele, Kelly Birmele, Laura Rhoades-Yokoi, John Allen Youngblood, Timothy Hough, Michael Ellsworth, Pierre "Dr. Reefer" Werner, Reynalda Barnett, Clyde Barnett, Ron Teston, Kristen Krusyna, Michael McAuliffe, Katree Darriel Saunders, Chad Uhl, Caroline Dellaville. The investigation was conducted as part of the Organized Crime Drug Enforcement Task Force (OCDETF) and the Nevada High Intensity Drug Trafficking Area (HIDTA) program. Specific agencies investigating the cases included the DEA, Las Vegas Metropolitan Police Department, IRS Criminal Investigation, the Office of the Inspector General for the Social Security Administration, Bureau of Indian Affairs, and North Las Vegas Police Department. 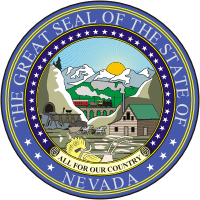 "Operation "Chronic Problem" Results in Federal Charges Against Nevada Marijuana Dispensary Operators." DEA.gov. United States Department of Justice, 6 Jan. 2011. Web. 01 Feb. 2013. <http://www.justice.gov/usao/nv/press/january2011/marijuanadispesaryoperatiors01062011.htm>.